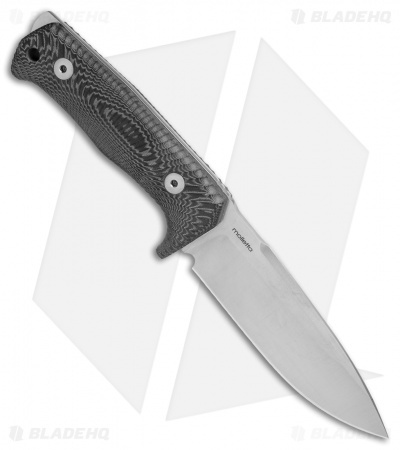 This T5 fixed blade is outfitted with a black micarta handle and a satin finished blade. The LionSteel T5 is a tough fixed blade built for managing any daily cutting chore. It has a solid micarta handle milled from a single piece of micarta. The handle wraps around the full tang blade providing a comfortable grip, free from any troubling hot spots. It has an extended tang that serves as a striker or glass breaker. 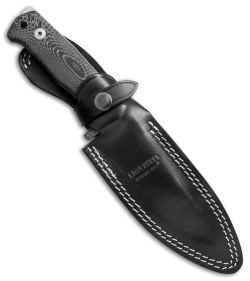 Item includes MOLLE equipped leather sheath. 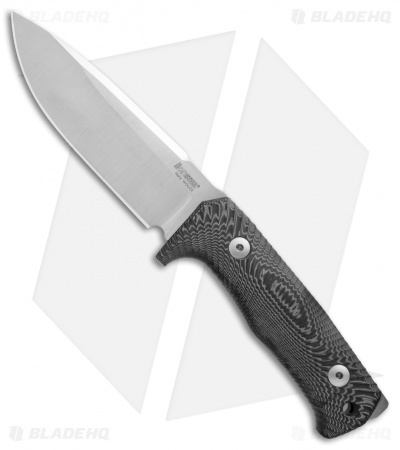 German Niolox steel provides a strong blade with excellent edge retention. Includes a leather sheath with a MOLLE attachment for versatile carry. Integral micarta handles offer a solid, durable grip.